Studio hours are based on when students and teachers are available for lessons. If the Spencerport Central School district closes due to weather, the studio will be closed. The studio will also be closed during school breaks and holidays. Please call ahead to see if we’re open. We are conveniently located in the village of Spencerport, just off Highway 531. The easiest way to find us is to look for the studio behind The Unique Shop at 130 South Union Street. The map below gives you our exact location. There is ample off-the-street parking behind the buildings. Our waiting room offers a comfortable place for parents and students to wait in. 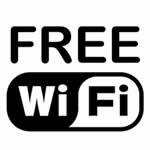 We also offer free WiFi to all our patrons.